Companion Animal Hospital is your compassionate Madison vet clinic. Since 1996, we have been a full-service veterinary hospital for all your pets’ needs, including: Annual exams, diagnostic exams, vaccinations, dentistry, surgery, and behavior problems. Our vets do not have quotas and do not work on commission, so their only interest is in helping you make the best decisions for your pets. We are dedicated to providing you choices for the best care available for your animal family members, keeping them happy and healthy for as long as possible. Located “kitty corner” from Woodman’s West, we are easy to find right on the corner of Gammon and Watts Road. There is an easy map on our Directions page. We are more than just a vet clinic. 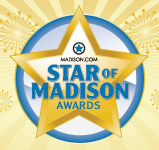 Besides being one of the top Madison vet clinics, our staff also provides shelter services and lots of charity work. 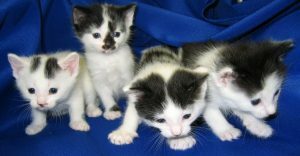 Over 800 kittens and cats have been rescued, socialized, and rehomed through our staffs’ hard work and time. 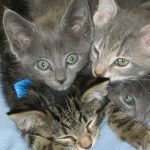 Madison Cat Project, Dane County Humane Society, and Fisher Valley Felines, among others. 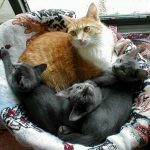 Dr. Pagel was a founding board member of Angel’s Wish rescue and has sat on the board of directors for the Dane County Humane Society as well as two other cat rescue organizations in Wisconsin. Dr. Pagel continues to volunteer his time at a rescue for tigers, lions, and other exotic animals (http://www.votk.org/index.html).